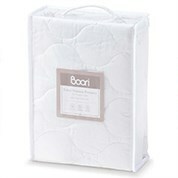 Our nursery bedding is the perfect way to keep your baby comfortable and warm. 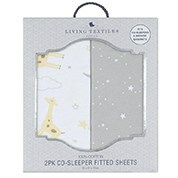 Your little one will sleep in style with these cute bedding designs. Choose from the beautiful blue or pink animal design baby cot bedding set for an Aussie bub, made of 100% comfortable cotton material. This beautiful print will make your little one's room stand out and look bright and cheerful. The perfect gift idea for a new-born baby. 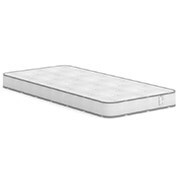 Choose from our range of mattresses including the Orthopaedic Breathable Baby Cot Mattress. It is made of quality innersprings designed to be orthopaedic and breathable, allowing for a perfect sleep for your baby. 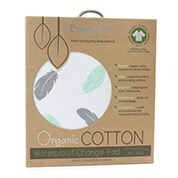 The fabric is antibacterial, dust mite and allergy free helping to provide the best environment for a sleeping baby. Composed of 180 springs for optimal lumbar support and comfort. 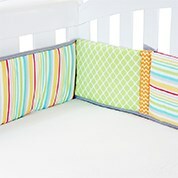 Choosing some special pieces for your baby's room is an inexpensive way to add personality to their room. We stock a variety of quality baby bedding at affordable prices, from gorgeous fitted sheets, quilts, mattresses, bumpers and more! They’re a great purchase before your new bub comes along. Choosing the right set is important for making sure your baby gets enough sleep. Babies sleep anywhere from 15 to 19 hours each night so why not choose a quality set to keep you child cosy and safe throughout the night.